I don't know a lot of women who doesn't have a problem with puffy,dark undereyes...I am, unfortunately, one of them. I guess this is one of the major problems of women today, aside from wrinkles and premature aging...no thanks to stress! 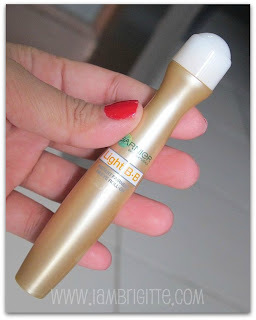 I reviewed Garnier Brightening Eye Roll-on some 2 years ago and it has been a part of my skincare regimen eversince. I put it in the fridge and the cooling sensation plus its caffeine content help to instantly depuff my undereyes. As for the brightening effect, my sister who also uses this can vouch for it. Unlike me, she gets to sleep a bit more than me so that explains why I still have these dark eye bags til now. So that eye roll-on plus my trusted concealer will do the job. 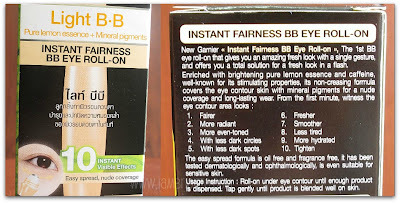 Garnier Skin Naturals Light BB Instant Fairness BB Eye Roll-On is the world’s first BB roll-on product for the eyes. It contains brightening pure lemon essence and caffeine and works just like the Garnier Skin Renew Anti-Dark-Circle Eye Roller that is available in the US, to help micro-circulation on the undereye area. 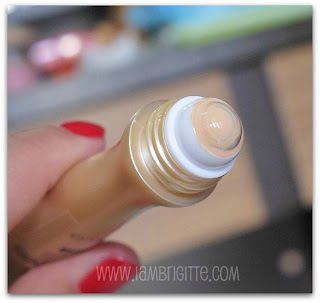 Only difference is, this contains mineral pigments for sheer coverage and long-lasting wear. it's basically the same with their first eye roll-on, but this has a tint which is more of a corrector than a concealer IMHO. 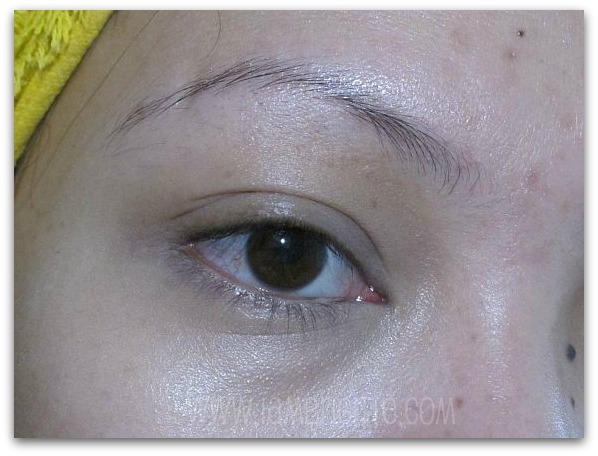 it instantly corrects the appearance of dark undereye circles. you can still layer it with your concealer if you need more coverage. 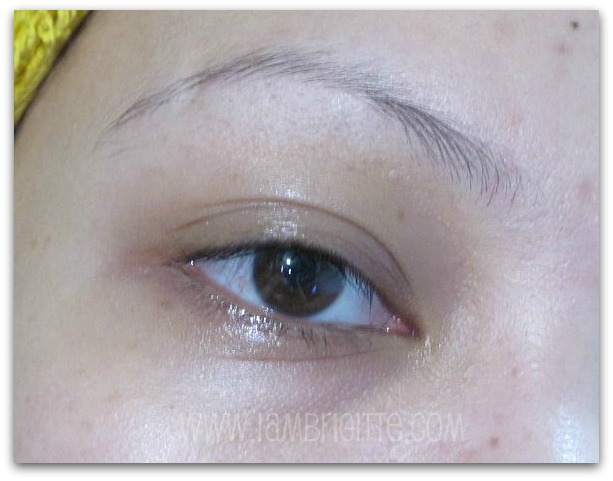 this can be a bit drying, so make sure to moisturize your undereyes first. i apply my eyecream first, let it dry then i use this. overall, i love this product and I even bought another one to bring along when i'm out. 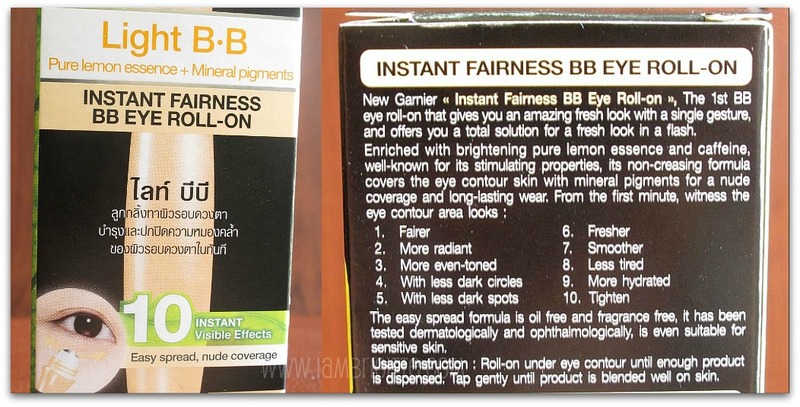 i must say KUDOS to Garnier for coming up with such innovative skincare and makeup product in one! di sha cakey if patungan pa ng concealer? interesting! 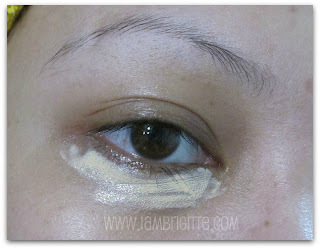 this is something to try when i run out of concealer. i doubt that i'll need concealer over this, as my undereyes are not very dark. been lemming to try garnier.. but since it is drying~would probably skip this one. thanks for this post lovely!